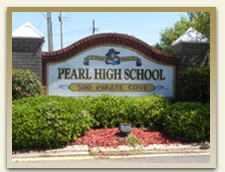 Pearl has come a long way since its incorporation in 1973. So do not be surprised to see her climb even higher in the future and we invite you to become a part of its best days yet. As the city of Pearl continues to grow, Coxwell & Associates continues to be there for its residents. Over the years, Coxwell & Associates has had the privilege of representing many of Pearl's residents in a variety of legal matters ranging from personal injury cases to criminal cases. Along the way, we have developed relationships that will last forever. We are proud to be so close to the City of Pearl and look forward to serving its residents for years to come. With over 75 years of combined legal experience, the attorneys at Coxwell & Associates have the experience you need to handle the most serious matters in your life. We have helped thousands of Mississippians over the years in personal injury cases as well as providing assistance to those who have been arrested. No case is too big for Coxwell & Associates and no client is too small. We treat our clients as we would like someone to treat us. The simplest way to reach Coxwell & Associates from Pearl is to take Interstate 20 West. Continue into Jackson and take the Interstate 55 North Junction. Exit onto High Street and go to the right through your Fifth Traffic light. Turn left on North State Street and you will go a few hundred feet and the historic Clifton-Burwell House will be on the left. A black and white sign out front announces Coxwell & Associates. When you reach the Office turn left onto College Street. You may park behind the building in a nice, paved parking lot. Entrance to the office of Coxwell & Associates is through the door facing the parking lot.